Whether your overseas getaway involves five-star comfort, or being far off the beaten track, or anywhere in between, Travelling Well is your invaluable travelling companion. No book can tell you exactly what you need for any particular country or trip. 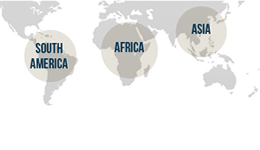 Information changes constantly, vaccination requirements vary depending on your past health and previous vaccination history, what you will be doing while you are away, and what part of a particular country you will be visiting. 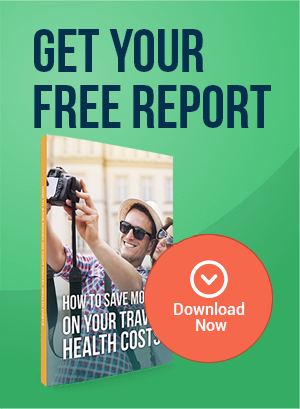 These issues must be addressed by an experienced travel medicine professional. 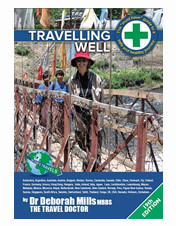 Dr Deb’s book, Travelling Well (RRP $24.95) is provided free when you consult one of our doctors in our clinic. Before You Go: Important information on pre-travel checkups, what to put in your medical kit, which vaccinations you need, and helpful tips about preventative measures you must take. While You Are Away: Hints on how to stay healthy and information on the avoidable hazards that you may encounter during your travels. If You Get Sick: Hopefully you will not need it, but this section will tell you how to treat common health problems, travellers first aid, how to find a doctor overseas, and much more. When You Get Home: Important information on post-travel precautions and checkups. A Few Details: Reference notes and detailed information about various diseases beginning with AIDS, Chagas Disease, Cholera, and Diptheria, and progressing through the alphabet to Yellow Fever. Drug Reference Table: Vital information regarding the usage and dosage of over 50 medications and drugs commonly provided to travellers, and precautionary notes for each. Do you know the connection between Doxycycline and sunburn? Now in its 19th edition with over 200,000 copies in print, Travelling Well has been translated into Braille and Vietnamese, and is also available as a PDF format e-book. Priced at just $24.95, you can easily add this important book to your ‘must read’ list before you go away, and take it with you to enjoy good health while you travel. For more information please visit the Travelling Well website.